As the proud owner of a small company, you know your business better than anybody else. But you may not be an expert on human resources terminology, or the many policies and laws that might affect you. If you employ fewer than 50 people, you may not be familiar with the Family Medical Leave Act (FMLA), aside from recognizing the acronym. But if your company is nearing this size or growing rapidly, it’s time to remedy that. Let’s begin with a quick primer on what the Family Medical Leave Act is all about. In 1993, this act was passed under President Clinton’s administration in an effort to better balance employers’ needs with the medical needs of employees and their families. The Act allows qualified employees to take up to 12 weeks of unpaid leave during a 12-month period to deal with a serious health condition or the arrival of a new child (including adopted or foster children), or be a caregiver of an immediate family member. Military service members qualify for 26 weeks of leave in that same 12-month period. While taking this time off, the employee is protected from a change to or loss of employment status at your company. As an employer, you must guarantee that your employee will have a job upon return from FMLA leave, though it may not be the same job he held before. 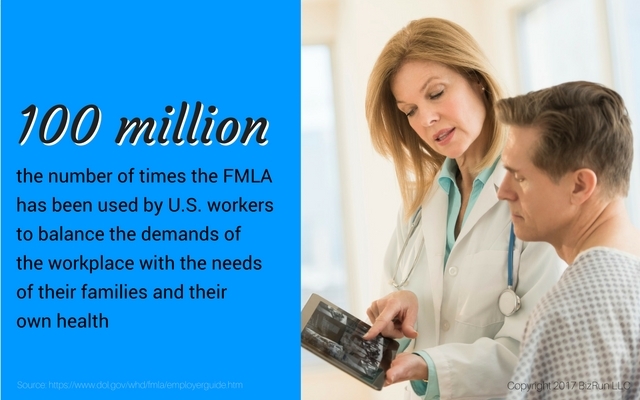 You are required to provide FMLA to your employees if your company employs 50 or more employees within 75 miles. If you do not meet this criteria, you can choose to offer similar unpaid leave benefits, but you are not required by law to do so. Employees that have worked for you for at least one year and who have worked at least 1,250 hours over those 12 months are eligible to take unpaid leave under FMLA requirements. As an employer, you make the decision whether to require proof that an FMLA request is legitimate or not. If you decide to make it your policy to require certification, you must give an employee at least 15 days to fill out the certification form. Even if you don’t, you can ask for certification later should you expect abuse. Certification is fairly straightforward for your employee. It simply requires his medical provider to fill out a form with a few details confirming the medical condition that qualifies the employee for unpaid time off under FMLA. Assure your employee that this doesn’t open up his entire medical history to you, but merely provides enough details for you to understand the seriousness of the medical condition that will remove him from his job for a significant period of time. 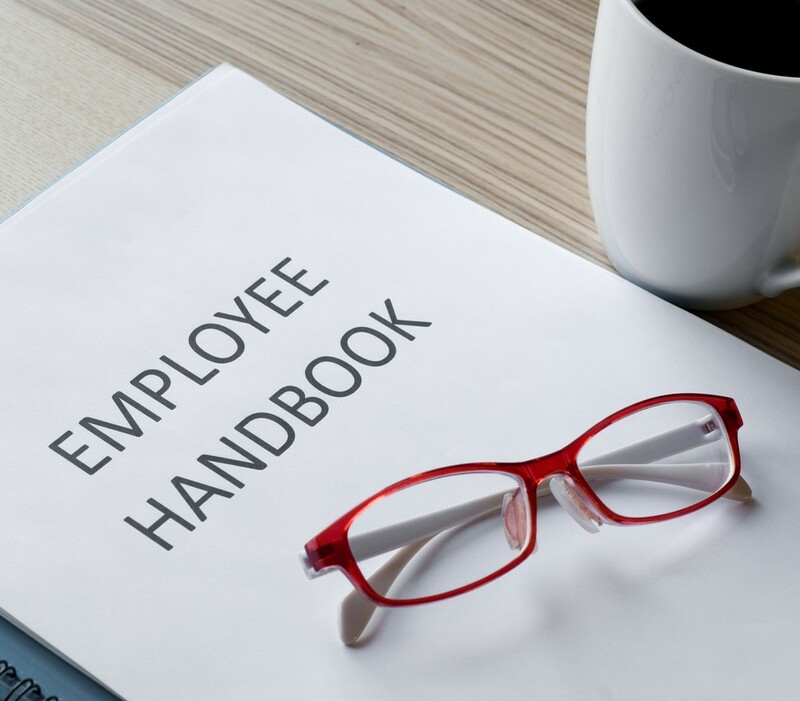 Now that you’re educated about what’s required of you as an employer, you may need to revisit your employee handbook. If you are at or nearing eligibility, it’s a good idea to address FMLA there, as well as in your time off policy. First, you must decide if you will require employees who qualify for FMLA to first take any unused paid time off prior to taking unpaid leave. Most employees would prefer to do so, given that they could continue to receive a paycheck even while taking time off. At any rate, be sure you proactively establish the policy and communicate it clearly. Additionally, address how you will handle benefits accrued during FMLA leave. Will paid time off accrual pause while your employee is on unpaid leave? And what about health insurance premiums? If your employee is on unpaid leave and not receiving a paycheck, her health insurance premiums aren’t able to be deducted from her paycheck as they normally would. If you’ll require her to make out-of-pocket payments, state this clearly, as well as how and when those payments are to be made. Finally, develop a procedure for requesting unpaid leave under FMLA. If you use HR management software, add an FMLA request option. If you’ll require certification for the request, provide the certification form in your new hire materials or make it available to employees. Consider that not all employees may need 12 weeks off in a row. Some may need intermittent time off or a reduced work schedule to accommodate doctor’s visits. Outline how you will handle these requests as well. Once you’ve established your unpaid time off policy, update your employee handbook to include this information. Be sure to provide revised handbooks or an addendum to current employees. Also, take time to explain the policy during new hire orientations and revisit it during annual benefits meetings. You may never get a request for unpaid leave under FMLA, but having a well-defined policy will help prevent issues or confusion later on and shows your employees that you care about more than just their performance on the job. Compare it to our FREE sample handbook to find out! YES, SEND ME THE HANDBOOK! How does your employee handbook measure up? FREE sample handbook to find out!